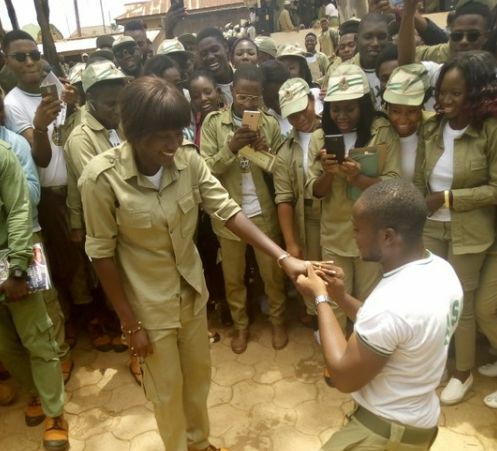 Photos of two National Youth Service Corps (NYSC) members who proposed to their girlfriends on their Passing out Parade (POP) day on Thursday have emerged online. One of the scenes happened in Jos, while the other happened in Bayelsa. 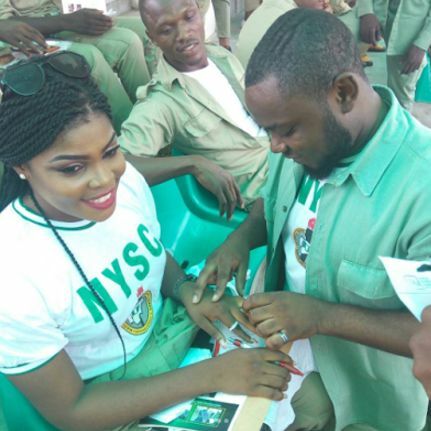 The couples above are of the Bayelsa camp.